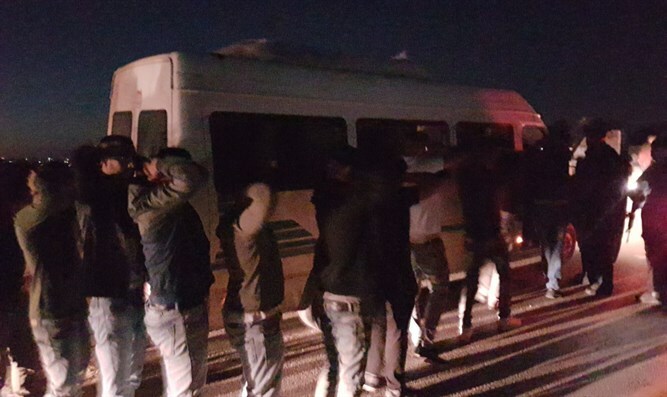 Border Police arrest fifteen Jenin rioters, find knives, weapons, in rioters' vehicles. 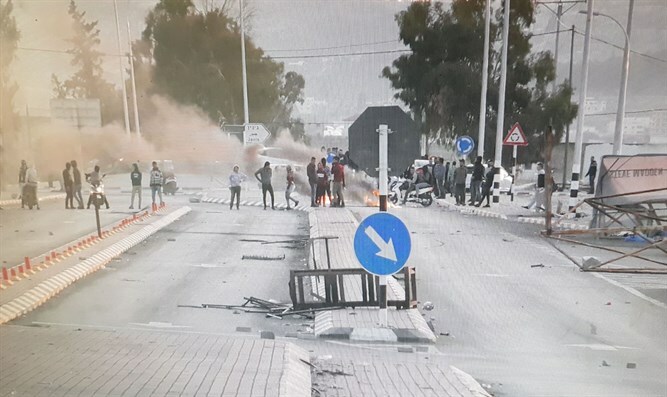 Border Police operated in and around Jenin after hundreds of Palestinian Authority (PA) Arabs rioted on Friday, a police spokesman reported Saturday. The PA suspects threw firebombs and rocks at Border Police officers, and blocked roads with burning tires. Border Police carefully mobilized in the areas succeeded in containing the riots. The officers arrested fifteen rioters at the scene, confiscating seven vehicles which served the rioters, and three motorbikes suspected of being stolen. 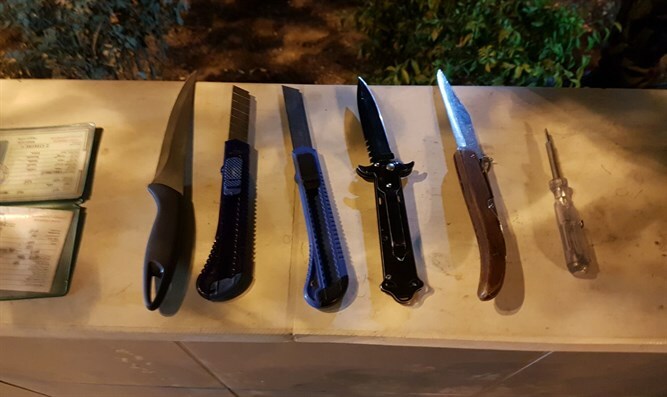 Upon searching the vehicles, Border Police found weapons and several knives. All of the rioters arrested are residents of Jenin and were directly involved in the riots. They have been taken for interrogation. "In every area where Border Police are forced to deal with disturbances, they work to return calm by using crowd dispersal methods and arresting rioters, with the goal of deterring criminals and bringing them to justice," a spokesman said. "Any provocation of our forces, and any attempt to threaten their lives, will be met with a determined initiative on our part."